Uhuru's Shocking Christmas GIFT: MEDIA BILL SIGNED INTO LAW by the president! 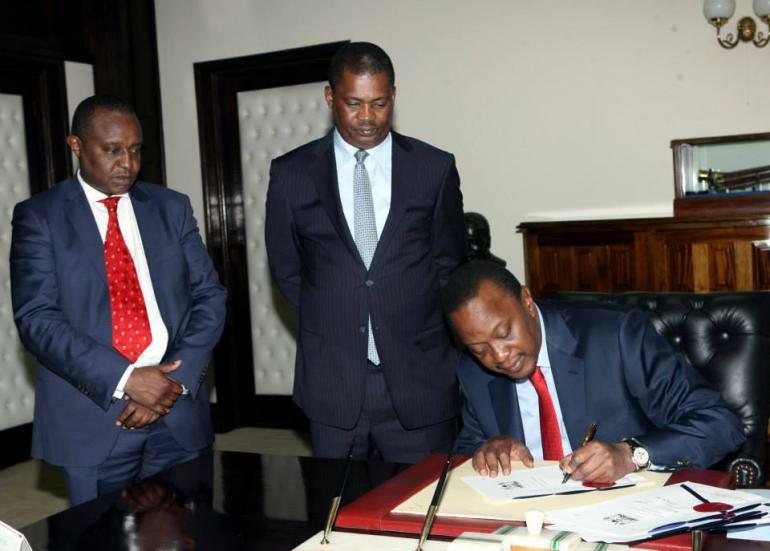 President Uhuru Kenyatta today signed into law eight Bills at State House Nairobi. The Bills submitted by National Assembly Speaker Justin Muturi for assent are the Capital Markets (amendment) Bill, the Election Campaign Financing Bill, Wildlife Conservation and Management Bill and the National Social Security Bill. Others are the Media Council Bill, the Insurance Motor Vehicle Thirty Party Bill, the Truth Justice and Reconciliation (amendment) Bill and the Vetting of Judges and Magistrates (amendment) Bill. The Bills were passed by the National Assembly in the last two months. The House has so far passed 21 Bills with 19 others at various stages of enactment.